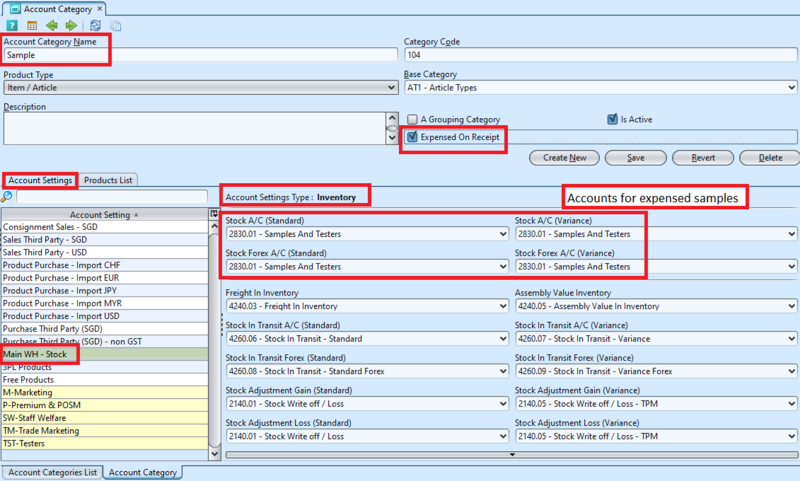 Account Category display the list of defined accounts categories for different product types. Within each account category, user is able to view the list of products classified under the particular account category. A Grouping Category Tick the checkbox if the category allows sub category under it. 2. Fill up information on top half of screen. 5. 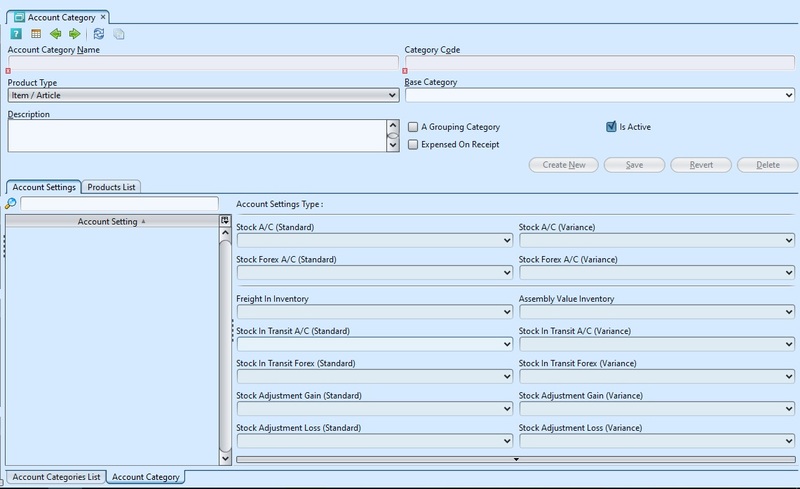 Information in “Account Settings” tab will be generated automatically. 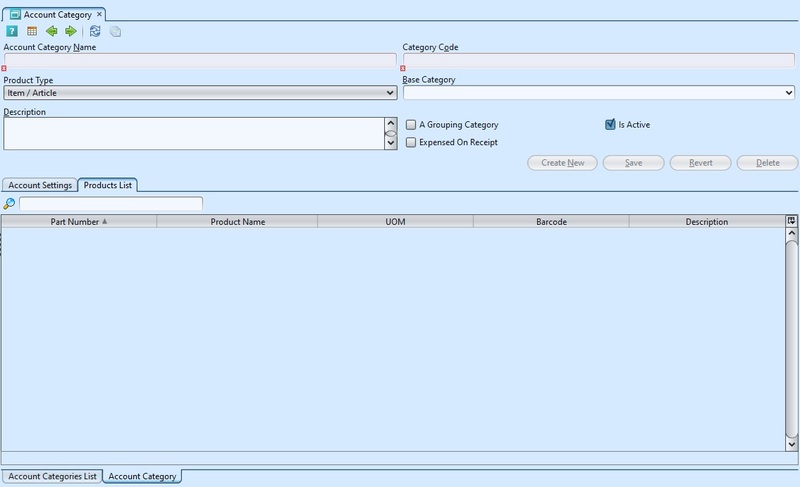 “Product List” tab will be updated automatically with products selected under the particular category. 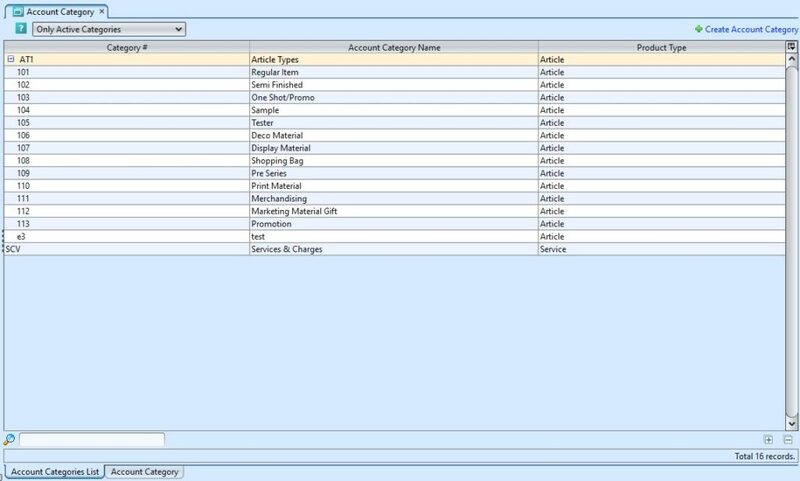 User can change / customize the accounts posting for a particular Account Settings type here for the selected Account Category. 6. For Account Category: Sample and Tester, the cost of the products classified under these two categories will be expensed upon receipt of the products. 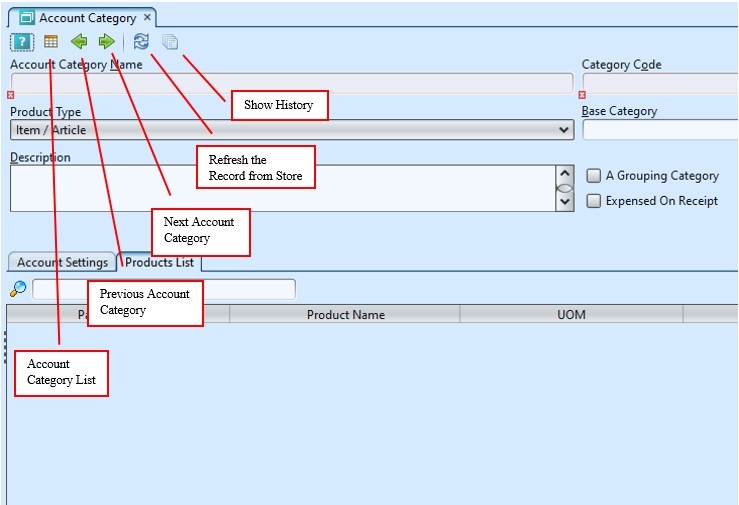 When sample / tester products were purchased, after Goods Receipt was posted, any cost paid for the purchase of the sample / tester product will be expensed to the accounts set in the Account Category (see snapshot below). Cost of goods in Putaway will be $0. For sample / tester products added using Stock Import, the unit cost entered must be $0. Cost of goods in Putaway will be $0. For sample / tester products added using Stock Adjustment (+QTY), cost of goods in Putaway will be $0. For sample / tester products returned using Customer Returns, cost of goods in Putaway will be $0.